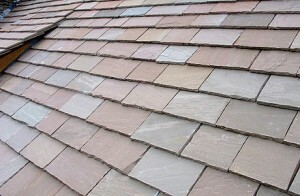 Asian Stones manufactures and exports roofing stone tiles in Indian Sandstone and Slate Stone. 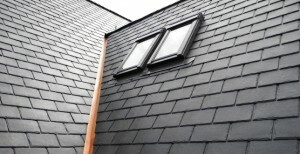 The Natural stone roofing tiles lends a beautiful aura to any residential project. Each and every tile is different from one another which enhances the exquisiteness of the house. The Natural Stone Roofing Tiles can be produced in rectangular or oval or any shape according to the template desired by the customer. We also pre-drill holes on the roofing tiles so that they can be directly be fitted on the roofs without any further processing on them. These tiles have natural surface on the top with uniform thickness at the back and machine cut/hand cut sides.